There are many cult classic colors out there from MAC. Because MAC is no longer cruelty-free, we’ve found some great cruelty-free alternatives for you from Makeup Geek and Silk Naturals, so you can wear your favorite shades in cruelty-free formulas. This list contains mostly eyeshadows, but some blushes and lipsticks as well. Thanks to Sheila from Painted-Ladies for the Makeup Geek dupes. For those of you who don’t know, dupes are colors that are either exact matches or nearly identical to one another. These cruelty-free alternatives are less than half the price of MAC eyeshadows without sacrificing quality or pigmentation. In many cases, these alternatives have better pigmentation and blendability. Makeup Geek eyeshadows are $5.99 to $7.99. Silk Naturals eyeshadows are $4.00, blushes are $6.50, and lip products start at $4.50. If you like MAC Carbon, try Makeup Geek Corrupt. If you like MAC Quarry, try Makeup Geek Unexpected. If you like MAC Folie, try Makeup Geek Cocoa Bear. If you like MAC Dazzlelight, try Makeup Geek Shimma Shimma. If you like MAC Amber Lights, try Makeup Geek Glamorous. 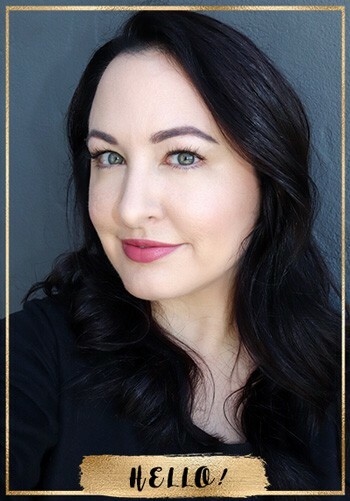 If you like MAC Mystery, try Makeup Geek Mocha. If you like MAC Electric Eel, try Makeup Geek Poolside. If you like MAC Trax, try Makeup Geek Sensuous. If you like MAC Juxt, try Makeup Geek Shimmermint or Silk Naturals Charmed. If you like MAC Dollymix, try Silk Naturals Babydoll. If you like MAC Pleasantry, try Silk Naturals Charming. If you like MAC Love Rock, try Silk Naturals Cosmic. If you like MAC Hand Finish, try Silk Naturals Flare. If you like MAC Dame, try Silk Naturals Lady. If you like MAC Blushbaby, try Silk Naturals Maybe Baby. If you like MAC Naked Lunch, try Silk Naturals Nekkid. If you like MAC Vex, try Silk Naturals Nymph. If you like MAC Breath of Plum, try Silk Naturals Pretty Plum. If you like MAC Moon river, try Silk Naturals Stardust. If you like MAC Brick-o-la, try Silk Naturals Sultry. If you like MAC Retrospeck, try Silk Naturals Bare. If you like MAC Shroom, try Silk Naturals Boom. If you like MAC Slate, try Silk Naturals Brimstone. If you like MAC Russian Red, try Silk Naturals Crimson. If you like MAC Sweet Sienna, try Silk Naturals Dolce. If you like MAC Emote, try Silk Naturals Drama. If you like MAC Twig, try Silk Naturals Eternal. If you like MAC Hot Planet, try Silk Naturals Galaxy. If you like MAC Grand Duo, try Silk Naturals Gemini. If you like MAC Seedy Pearl, try Silk Naturals Hint. If you like MAC Idol Eyes, try Silk Naturals Idolize. If you like MAC Mythology, try Silk Naturals Legend. If you like MAC Moth Brown, try Silk Naturals Lurid. If you like MAC Bare, try Silk Naturals Maiden. If you like MAC Natural Flair, try Silk Naturals Meteor. If you like MAC Natural Flare, try Silk Naturals Orbit. If you like MAC Natural Flare, try Silk Naturals Solar. If you like MAC Satin Taupe, try Silk Naturals Mink. If you like MAC Velvet Teddy, try Silk Naturals Negligee. If you like MAC Vanilla, try Silk Naturals Sonic. If you like MAC Nylon, try Silk Naturals Sprite. If you like MAC Rice Paper, try Silk Naturals Papyrus. If you like MAC Parrot, try Silk Naturals Poly. If you like MAC Kitschmas, try Silk Naturals Retro. If you like MAC Jardin Aires, try Silk Naturals Velocity. If you like MAC Her Ladyship, try Silk Naturals Whisper. 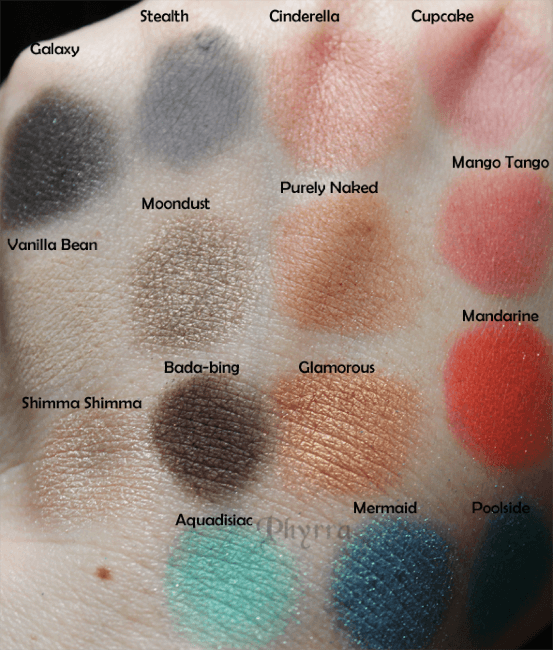 If you want to see swatches of some of the Makeup Geek colors, I have many swatched here. If you want to see swatches of some of the Silk Naturals colors, I have many swatched here. Makeup Geek eyeshadows are available for purchase online at Makeup Geek.com. Silk Naturals eyeshadows, blushes and lipsticks are available for purchase online at SilkNaturals.com. Do you have any good dupes to share? Submit them to the My Beauty Bunny Facebook page, and we may share them here on My Beauty Bunny! Great post and extremely helpful Phyrra. Love this blog! It’s my go to cruelty free cosmetics read. 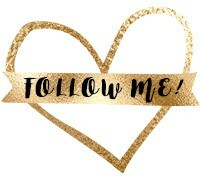 I’m new to blogging and gradually building mine. It’s cruelty free and paraben free specific. Hi! I would really like to know If Makeup Geek or Silk Naturals do Third Party testing? Hi Cristy – no they don’t do any 3rd party testing!